What can you tell us about your new release, Flamingo Lane? 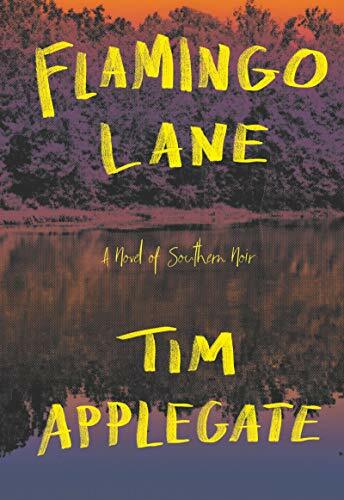 In my new novel Flamingo Lane, to pay off an exorbitant gambling debt to the ruthless drug lord Pablo Mestival, a young expat named Chance agrees to locate – and possibly eliminate – Mestival’s former lover Faye Lindstrom, who has escaped from Mexico and returned to her hometown. Like my previous novel Fever Tree, Flamingo Lane continues to explore the classic noir themes of betrayal and revenge. In high school my girlfriend gave me a book of William Blake’s poems. After Blake, I read Frost and Whitman and Robert Lowell and I was hooked. All I wanted to be after that was a writer. The Sound And The Fury (Faulkner), The Collected Stories of Flannery O’Connor, In Cold Blood (Truman Capote), The Talented Mr. Ripley (Patricia Highsmith, The Sun Also Rises (Hemingway). And what would you ask? The extraordinary crime writer Lou Berney. I would ask Lou about his research methods, and how he incorporates that research into his stories. The challenge of trying to construct seamless sentences while never losing sight of the story. I’m usually in front of my keyboard by 7 a.m. Then I write, revise, and edit for the next three or four hours. The afternoons are for hikes, reading, cooking, and a glass or two of wine. What scene in Flamingo Lane was your favorite to write? My favorite scene in Flamingo Lane is Faye’s first evening by herself in Crooked River. Because that’s the night Faye decides that she’s not going to be defined by the trauma she went through in Mexico but by her determination to overcome that trauma. My philosophy is simple: Work hard, play hard, and count your blessings. Every day.